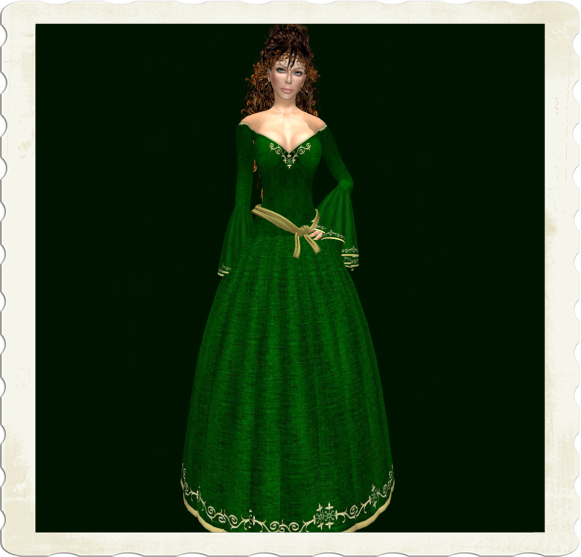 This medieval lady wears a green raw silk dress. Imagine her as the lady of the castle ready to sit at a banquet. The dress has rich details and comes with sculpted slippers and sash. The hair was an A&A gift, I checked the store but no more :-(. I'll blog the new gift hair another time. The light Skin is a groupgift from CMC and has nice freckles and delicate eyebrows. The shape is the same as I used in previous post. I'm very loyal to my own shape and looks. 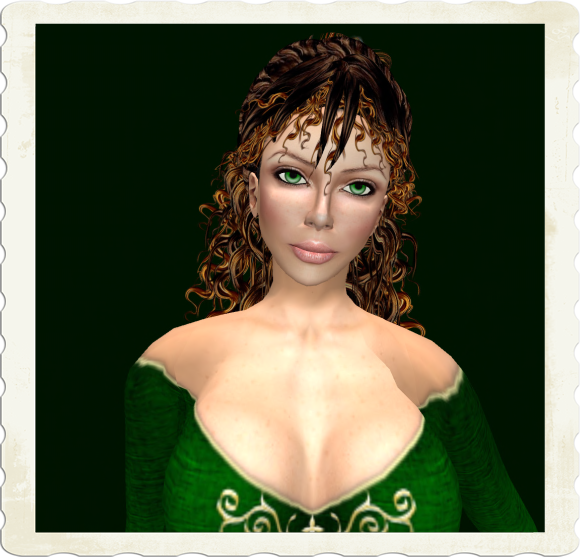 I have my avi-shape for years now, I copied her from my sl avi when i came to Inworldz and I don't intend to change things. Gotta admit tho I have her gain or loose some pounds every now an then. Still it is nice to play with different shapes and skins that are not my personal choice but turn out to be so great. It's like playing with a costume box with infinite possibilities.